To a person familiar with Urdu and Arabic, alchemy may simply seem like a word which refers to chemistry: ‘al’ meaning ‘the’ and ‘chemy’ referring to the study of chemicals. But with a peculiar history, the subject is the root of many branches of modern-day science as well as philosophy, dating back centuries when the concept of elements and compounds had not yet been developed . Although some of the most famous alchemists were European, such as Robert Boyle and Isaac Newton, the subject originates from Egypt and Babylon . Later, as time progressed, China and India came to the forefront of alchemical practices. Where Chinese Taoist alchemy was based more on producing gold via transmutation as a medicine for perpetual health and immortality, Indian alchemy was more focused on herbal cures and remedies, although both had the same end goal: to increase the longevity of human life . The first experiment for turning lead into gold was done in ancient Egypt, and the fascination with this concept carried through generations of alchemists worldwide. In the TV show, ‘Forbidden Histories’, a group of scientists at University College London performed an experiment to turn lead into gold, and it worked! Well, visually at least. The process involved preparing an electrolytic cell with a metal electrolyte in solution and electroplating brass onto an ordinary penny. This experiment is carried out all over the world by people who make imitation jewellery and is no extraordinary feat anymore. 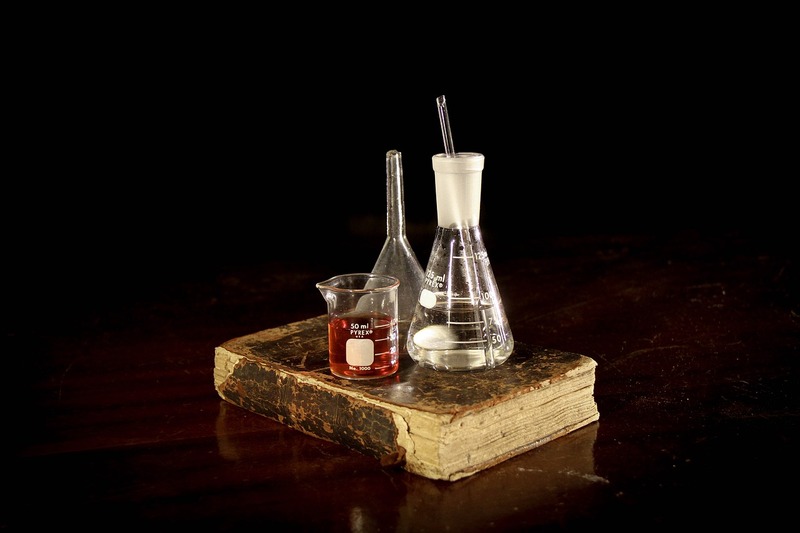 Although the concept of experiment and observation stems from ancient alchemy, it is a subject that is looked upon as fictitious and unreliable in the modern-day world. This is because of the role superstitions and ancient philosophy plays on modern-day alchemists. After all, if someone wants to truly study metals and matter, they should be studying metallurgy and chemistry, not this. But many of the core foundations of life sciences as well as pure sciences stem from alchemy. Back in the time when mass spectrometers and high-end microscopes did not exist, Aristotle believed that only four basic elements constituted all matter on earth. Fire, earth, air, and water (later aether was added to the list) were hypothesised to be the basic constituents of matter . This idea was used as a background for many pieces of fiction over time, but was later disproved by Robert Boyle, more famously known as the scholar behind Boyle’s law of gas pressure. Boyle proved that matter could be broken down into its constituent elements, which then could not be broken down any further. The periodic table—which is now the standard to which we refer to in chemistry—was introduced by Dmitri Mendeleev in 1869, nearly three centuries after the alchemist Robert Boyle first laid the foundation of elemental concepts . One reason why alchemy did not receive its due share of attention was caused by difficulties in deciphering ancient alchemical data. A major problem in deciphering ancient alchemical data stems from the secret coding the alchemists used, as they kept their work secret and did not want it to be stolen and duplicated by anyone else. Jabir Ibn Hayyan is a famous example of such practices . His work was written in a highly esoteric code, only decipherable by people who studied under him and used many symbols that historians today have not been able to interpret properly. It may also possibly be the root of the word ‘gibberish’, i.e. indecipherable writing. 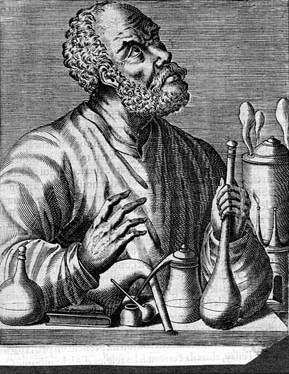 Apart from deciphering difficulties, a significant amount of Greek literature based on alchemy was destroyed in the third century. The reliability of the data that remained often cannot be quantified as the mystic aspect of alchemy was never separated from the scientific aspect. Palingenesis—meaning rebirth or regeneration—is a concept often used in ancient alchemy and is closely entwined with present day religious beliefs in India. It has been tested by alchemists over time by experiments to revive dead plants. Many Ayurvedic texts also have mentions of medicines and compounds that have been taught in India for many centuries . The use of toxic metals specifically to create compounds with healing properties is a very prominent feature in Indian alchemy. In Christianity, the belief among some alchemists was that just like Jesus had to suffer through torments and be crucified before he could obtain salvation for his nation, similarly the ingredients used in alchemy must be tormented by the effect of heat and alteration to be ‘redeemed’ as the possible elixir of life, or philosopher’s stone. Alchemy also served as a tool to confirm pre-existing religious concepts, which may have been hinted at in holy scriptures over time. Some believed that by the formulation of medicines, they could prevent the tribulations that royalty and people of political influence would face at the end of times . The history of alchemy is entwined with the development of modern-day chemistry and many important aspects of philosophy. It shows how different people have tried to achieve the same goals—immortality, physical context to their beliefs, and the hidden secrets of the world—through different means.